If you missed this story, I envy how secluded your summer must have been. In what became international news, the federal government purchased the Trans Mountain pipeline from Texas oil company Kinder Morgan, for a price upwards of $4 billion. Victorians took to the streets, angry with the pipeline they now technically owned. 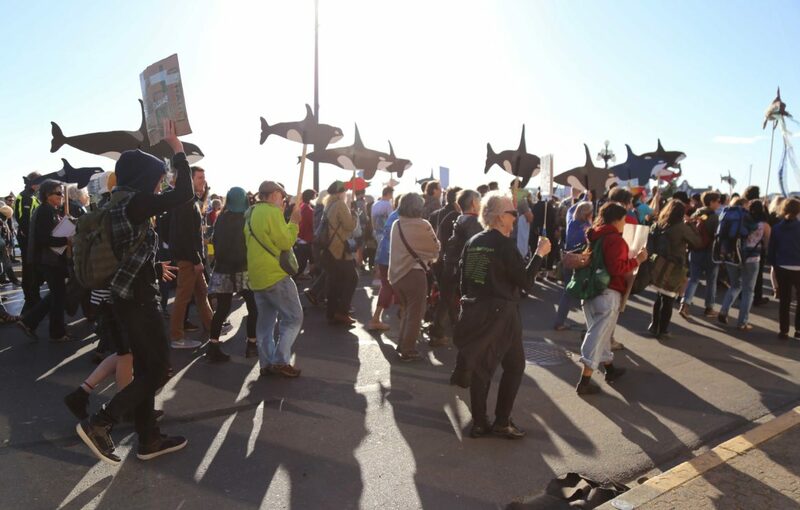 Over the course of a weekend, hundreds marched through the streets of downtown Victoria, demonstrating, chanting, and flying huge inflatable orcas to show their anger at Trudeau’s decision. Next, plans to hold a 20-person “phone-in” (which had protestors calling their MPs together to voice their displeasure) turned into a 200-person rally, with more singing and demonstrating. Their efforts have not changed anything yet, but as the price tag for the pipeline continues to rise, Victoria can expect more protests in the next few months. Summer is normally a quiet time for the UVSS, as new boards are only beginning to form relationships for the upcoming fall term, but a certain bombshell revealed at a June 18 board meeting was just about the loudest piece of news you can get. 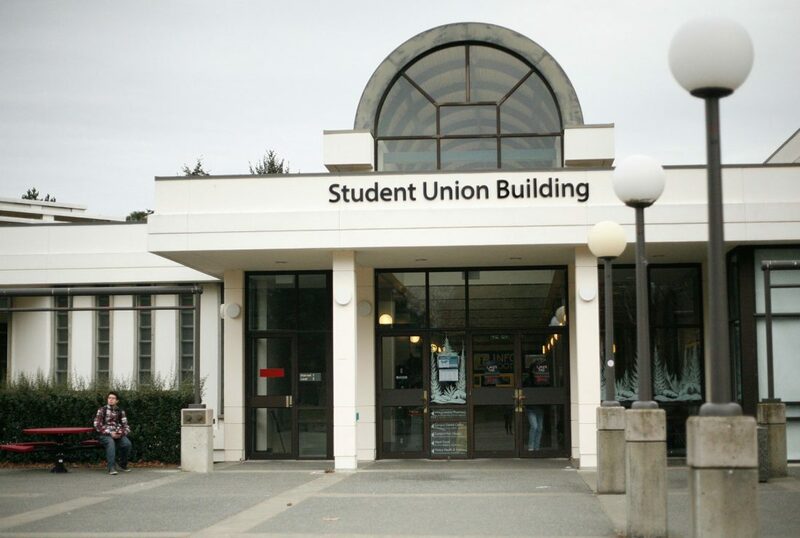 New Director of Finance and Operations Curtis Whittla revealed that the UVSS had gone approximately $26 000 over budget during their 2018 election, despite the fact that only one full slate ran. Whittla later reported that the main cause of the overspending was hours logged by Karen Potts, the Chief Electoral Officer. Since Potts is no longer an employee of the UVSS, however, no further reasoning as to how she worked approximately $18,000 of additional time was given. The Malahat Review is one of the most prestigious literary journals in Canada, but its existence was threatened this summer when a search for a new editor lead to community outrage. 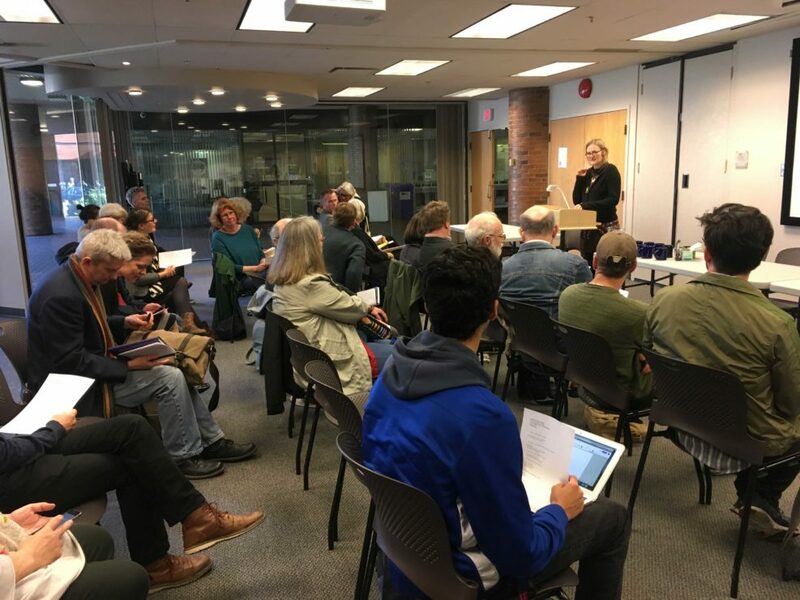 In May, community members organized a meeting after the University of Victoria — who technically own the Malahat Review — announced the next editor would have to be a faculty member. Upset that this decision meant limited editorship opportunities and a limit on the potential diversity of the candidates, university officials met with community members in order to come to an understanding. At the meeting, university officials explained the decision to make the editor a faculty member was due to budget restraints, and complications could be reversed after a few years of keeping the journal in-house. Though members of the job committee resigned from the hiring committee due to concerns with the hiring process, English professor Iain Higgins was later announced as the new editor. 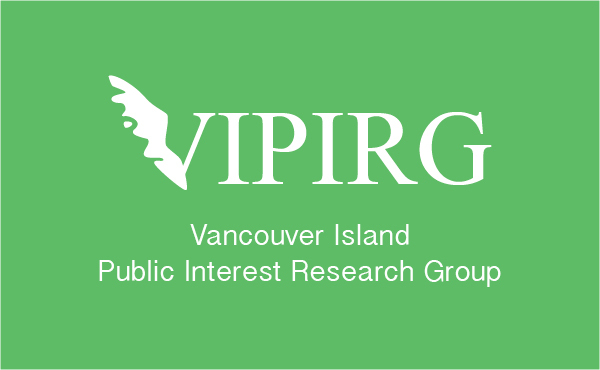 In a summer investigation, the Martlet reported on the University of Victoria’s $168,000 investment in a California-based firm in order to discuss and research ways for UVic to increase their standing within international university rankings. 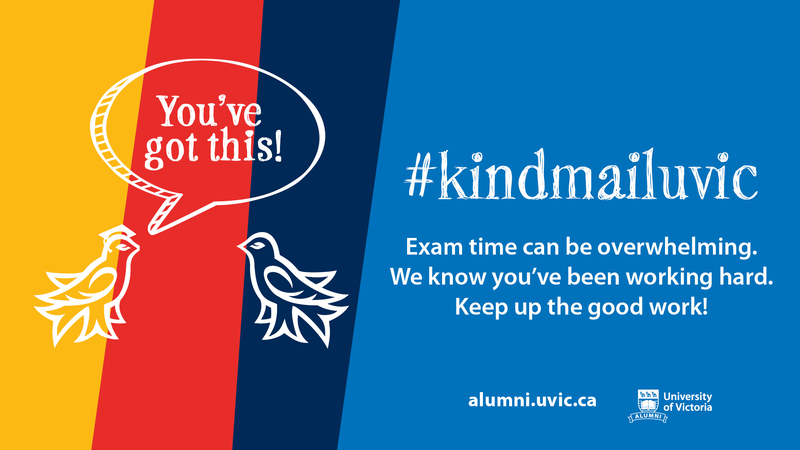 The investigation included emails from UVic President Jamie Cassels explaining the investment to members of the faculty and administration. 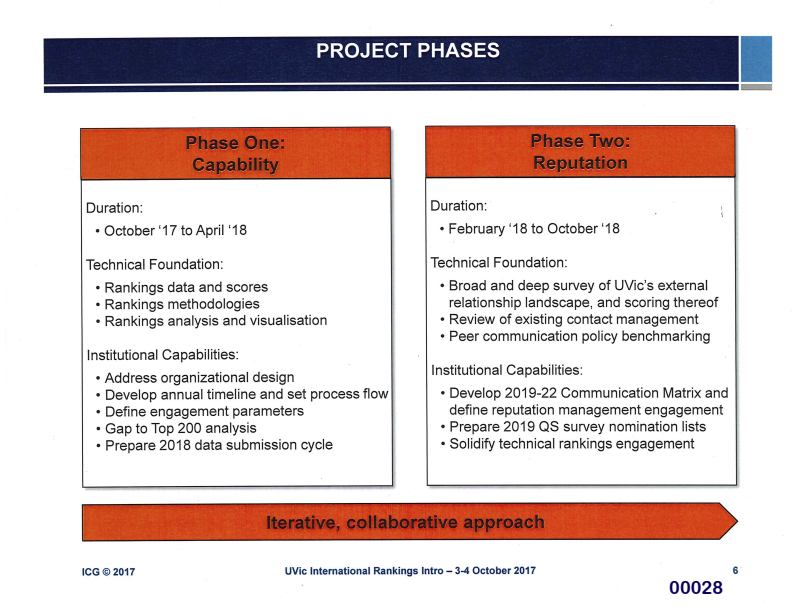 Cassels said the program was not “a vanity project” but a way for the university to accurately represent their quality and attract students and other faculty members. Still, student senators commented that the university needs to make sure their financial priorities are in check. Finally, in more recent news out of the Students’ Society, the UVSS Board decided to alter policy regarding in-camera (a section of the board meeting when only Board members are present to discuss confidential and/or personnel matters and minutes are not taken). Whereas past boards had to announce in broad terms what topics were to be discussed, Lead Director Angelblazer put a motion forward to remove that requirement. The decision, which was criticized online as a lessening of transparency and accountability, passed unanimously. Finally, the UVSS started their term a position short this summer, after no nominations were received for a Director of International Student Relations (DISR). It’s an important role, with its occupant directly responsible to a cohort that makes up approximately 12 per cent of the undergraduate population. As previous DISR Dheeraj Alamchandani told the Martlet, the lack of the position means the loss of an important liaison between the university and its international students. It also meant there was no UVSS representative who could directly assist students affected by the recent news that Saudi Arabia was planning to pull funding and students out of Canadian universities after the Canadian Minister of Foreign Affairs criticized the country’s attitude towards human rights. Not much has changed since the news broke — which means the situation is as delicate as it was before. And next . . . So there you have it. Plenty of exciting news from this past summer, and there’s sure to be plenty more throughout the rest of the semester. Make sure you follow the Martlet on Facebook, Twitter, and Instagram to keep up to date with all of this year’s goings-on.